here has been a great deal of talk in recent years about whether the death penalty is still necessary or not. From Pope Francis to Joe Catholic, good people from all sides have had something to say about important matters; and they’ve had something to say about it for thousands of years. I have noticed that Catholic Pro-Death Penalty Apologists (CPDPA) all tend to use the same arguments in favor of the death penalty. Their arguments are not only imbued with the same invalid reasoning, but their counter-arguments against those who find the death penalty unnecessary always offers a false distinction between justice and mercy and attempts to caricature their opponent as ’emotional’ and ‘illogical’. Even in a world where no one has super-powers to break out of maximum security prison the CPDPA still prefers to have someone else kill the sinner. They’d rather see someone else kill a sinner because of their crime, rather than allowing the sinner time to discover the love of God. They’d rather someone else kill a prisoner, rather than they themselves visit the sinner in prison. They call that justice in their counter-arguments. Below, I’ve taken the time to respond to the Five Errors that the Catholic Pro-Death Penalty Apologists (CPDPA) repeatedly make in their appeals in favor of the death penalty. “Assuming that the guilty party’s identity and responsibility have been fully determined, the traditional teaching of the Church does not exclude recourse to the death penalty, if this is the only possible way of effectively defending human lives against the unjust aggressor. If, however, non-lethal means are sufficient to defend and protect people’s safety from the aggressor, the authority will limit itself to such means, as these are more in keeping with the concrete conditions of the common good and more in conformity to the dignity of the human person. Today, in fact, as a consequence of the possibilities which the state has for effectively preventing crime, by rendering one who has committed an offense incapable of doing harm – without definitely taking away from him the possibility of redeeming himself – the cases in which the execution of the offender is an absolute necessity “are very rare, if not practically nonexistent” (John Paul II, Evangelium vitae 56). The Fallacy of False Appeal to the Magisterium and False Assignment of Church Teaching arises here when the CPDPA posits that all or a very small portion of the paragraph above rises up to level of being a Catholic Dogma, or a Solemn Doctrine, or a Definitively Proposed Doctrine, or an Infallible Pronouncement, when all that Paragraph No. 2267 of the Catechism of the Catholic Church, is – an Authoritative Teaching. 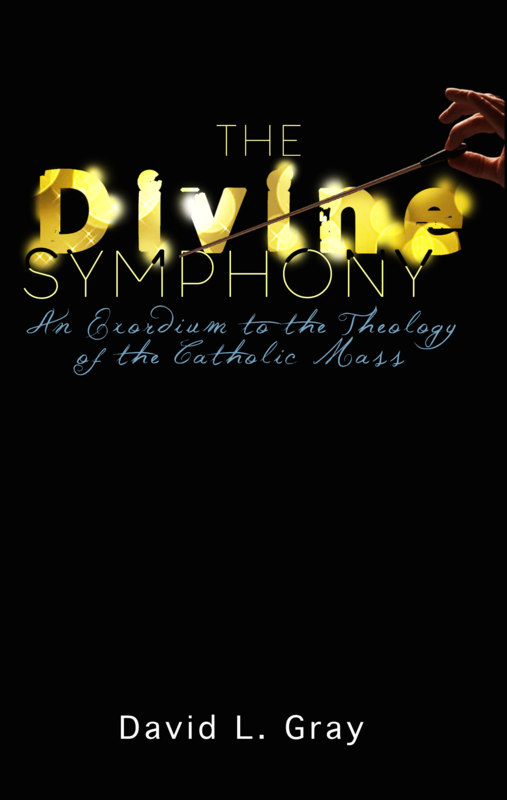 As an Authoritative Teaching it is not part of the Divine and Catholic deposit of faith (i.e. what has been formally revealed by God), nor does the said paragraph mean to take a position, without deciding it by proposing it as a revealed or definitive. Yet, as an Authoritative Teaching, Catholics should respect it and give it religious obedience of intellect and will, but they are not required to give it an assent of faith, such as a Dogma would require. The CPDPA attempt to turn an Authoritative Teaching into something more than that is misleading and false. No CPDPA can refute these errors they make. The best they can do is return to their false distinction of justice and mercy and caricature me as emotional and illogical. What the CPDPA will often appeal to next is a number of quotes from all the saints that they can find who were in favor of the death penalty, without offering up quotes from those saints who were against it. In his article, Fr. McCloskey’s offers up quotes from Saint Augustine, St. Thomas Aquinas, and Saint Paul. Then for good measure, he throws in Pope Pius XII, Catholic convert and evangelist Frank Sheed, and a quote from the Catechism of the Council of Trent, which he notes was composed under the supervision of St. Charles Borromeo. Knowing that the saints have been wrong about issues not related to the Dogma of the Catholic Church and knowing that humans are limited to the science, technology, common knowledge, and circumstances of their own time, the CPDPA can never prove whether the saints who they quote would be in favor of the death penalty as it is applied in our times, or whether their position on this issue would not have changed if their time, knowledge, technology, and circumstance would have. When Jesus encountered a woman who, according to the Mosaic law, should have been stoned to death for having been caught in adultery, He tells her would-be Pharisees executioners, “Let the one among you who is without sin be the first to throw a stone at her” (John 8:7). While the CPDPA argues for the death of those who they ought to be visiting in prison, they’ll never admit that according to Jesus’ own words, killing a prisoner is like killing Him all over again. They’ll never admit that they themselves are guilty of the same self-righteousness that afflicted the Pharisees. It is true; nearly 2,000 years after our Lord and Savior was a victim Himself of the death penalty, we still don’t get it. Yet, we go to Mass every Sunday, glare at what the death penalty did to God, and then have the audacity to go write an illogical article that sides with those who killed our King. The CPDPA believes that we must stay the course on the death penalty. This fallacy is tied to their two earlier fallacies because they believe that if the Church changes course on this issue it somehow inveighs against the Authoritative Teaching that they assigned to be a Dogma or a Doctrine, and against the saints who they appealed to as sources of authority. What they fail to recognize is the life of the Holy Spirit in the Church. Over the course of nearly 2,000 years what the Holy Spirit has been during is purifying and liberating the Church for the purpose of her being able to more freely execute her duties to (1) proclaim the word of God, (2) celebrate the Sacraments, and (3) perform works of charity. Not long ago the Church thought herself to be a landholder, an agent of the state, a military power, and several otherworldly things. Yet, over time, the Holy Spirit has guided the Church away from its worldly interests and temptations. When we read Paragraph No. 2267 above it seems as if what the Church is doing is offering the state an ‘allowance’. That is, it is telling the state what it can and cannot do. For surely, not one single prisoner is being executed at the Vatican. That being said, it seems that the Argument from Inertia; that the Church must stay the course on this issue; seems to run contrary to work of the Holy Spirit to continue to set apart His Church from concerns of state, so that she can more freely execute her duties; one of which is not to kill prisoners. There is the immoral action of objectification of persons that CPDPA is promoting. In 1994 the leader of a fraternal order that I was about to be initiated into asked me, “What do you think about the death penalty?” I was only 22 at the time, and he was a prison Corrections Officer. No one had ever asked me that question before then, but I remember my answer to this day. I said, “I don’t have a problem with it really. My problem is when they wait twenty years to execute them. If they got the death penalty, they should just get it over with.” A little over a decade after that answer, I was a prisoner myself, and working as a Chaplain’s Assistant at a corrections medical center where it was my job to care for, pray for, and coordinate hospice prayer vigils for men and women who had committed some of the worst crimes against women and children. You know what I saw when I talked with that man who was probably going to die of cancer before the state got their chance to execute him? You know what I saw on the face of that man who had raped countless children, but laid there in a diaper that was falling off of him because cancer had reduced him to all bones? You know what I saw when I helped a nurse wash a man who had killed his wife and children? You know what I saw on the face of that woman who had let her boyfriend molest her children? I saw the face of Christ Jesus. I saw the Lord’s face because I took the time to visit with those people and pray for them and get to know them. I met them where they were and I met Jesus there. The CPDPA doesn’t get that. They remind me of those young men that saw a Catholic Church and decided to use it as a target to drop an atomic bomb on the city of Nagasaki. They were able to drop that bomb because they didn’t love any of the women or children below. For, if they did, they would have never objectified them as persons – as mere things to be destroyed. We cannot get around the fact that no one who loves God would kill a person they love just because they sinned. To the contrary, Christ Jesus has called us to love all, included those who have sinned. What love does is desire the best for its object of love. In the Christian context, the best we can desire for someone is their salvation. Executing a person who is of not of an immediate threat to you is in no way desiring the best for them. While the judicial system in the United States usually executes people who are actually guilty of a grave sin, the same can’t be said about how the death penalty is applied in places like North Korea, China, Iran, and Myanmar. Indeed, there are places in this world where the application of the death penalty is intrinsically evil, but the CPDPA failure to make this distinction leaves them guilty of condoning this immorality of grave objectification. Moreover, while the CPDPA is only interested in the killing a person for sins they committed in the past, their lack of concern for the person who actually has to carry out the execution exposes their lack of Christian concern. One person may die as a result of sins they committed in the past, but another person has to live with that sinner’s blood on their hands. Where is the spiritual care for that person? The Death Penalty is a Deterrent: There are so many problems with this idea. The first is that it’s unproven. There is no connection between past-sentencing and future crimes, because, in the first place, people who intentionally commit crimes do not think they are going to get caught – that’s why they are committing the crime, and the people who commit unintentionally commit crimes are not thinking about consequences – they are just reacting to emotions and brain chemicals. SEE: A study by Professor Michael Radelet and Traci Lacock of the University of Colorado found that 88% of the nation’s leading criminologists do not believe the death penalty is an effective deterrent to crime. Better to Kill a Person than Feed them For Life: Here the CPDPA makes an appeal to the cares of the world when they opine about how horrible it is for taxpayers to have to feed, clothe, and shelter a sinner. They might even go so far as to talk about how much better prisoners in the west have it over poor people – how they have entertainment and education opportunities and etcetera. Anyone who has visited people in prison or has been to prison know that the food isn’t all that great. Moreover, the opportunities that prison provides are solely purposed for the rehabilitation of the prisoner. Even if that person is doing a life sentence, it is still good for them and society that they are rehabilitated. Indeed, there may be some creature comforts afforded to some prisoners, but these comforts in no way mitigate the loss of freedom that the prisoner suffers. Knowing Death is Imminent Speeds of the Conversion Process: According to the logic of the CPDPA, there are no atheists in foxholes. That is, people who know that their death is imminent turn to Christ Jesus for redemption. Therefore, a merit of the death penalty is that it more quickly turns people to their Savior. Again, I’ve worked in a prison hospice; I’ve sat right next to people when they took their last breath. Some of them did turn to a God/god – some didn’t. There is not enough guarantee here for us to forsake the great commission to actually preach and Baptize, in lieu of a foxhole. I’m not sure why anyone would place their hope in something that isn’t certain when it comes to something as necessary as Salvation. Altogether, the grave problem with this Fifth Fallacy is that it relies on lies, rumors, empirical data (which isn’t true for all), scare tactics, and cares of the world, rather than cares of the Kingdom.